Three Rings, for three times the fun! Lightweight, easy to grab and handle, perfectly suited for small baby hands. 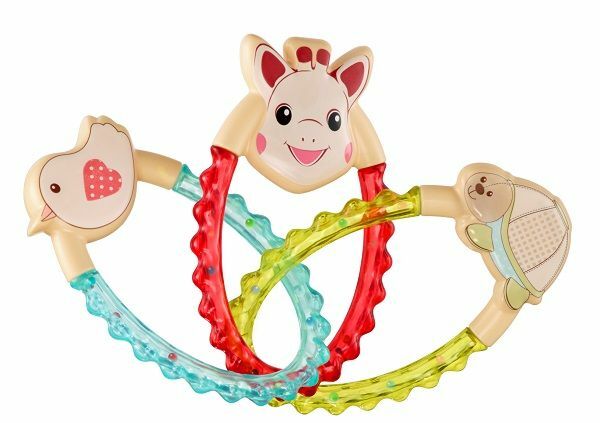 Three interlocked rings entertain baby and help develop the coordination of their first movements. 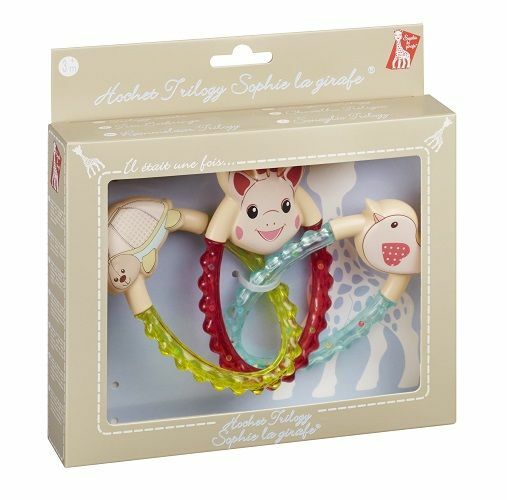 Each ring is a different colour and features the friendly faces of Sophie and her friends, Kiwi the Bird and Margot the Tortoise. Shake the rings to hear the multi-coloured ball as they bang together. The rings are nicely textured so baby can explore with their mouth and their hands.